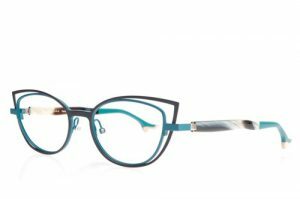 As some of the world’s most respected high-end eyewear designers, the French duo behind Face a Face are still treating glasses as fashion. Dressing up the eyes with bold designs and colors has never looked so flattering. Whether you’re searching for the finest modern eyewear or high fashion sunglasses, i2i matches you with the perfect frame and lenses. Our opticians’ 60 years of combined experience guarantees a precise fit and unrivaled service. Located in North Scottsdale, our boutique carries everything from prescription glasses to contacts. Sunday and Monday Closed Tues -Friday 10-5 Saturday 11-5 Sunday By Appointments. Site Copyright 2019 i2i Optique. All Rights Reserved.